Jamat Ud Dawa always takes parts in various relief works whenever any natural disaster hits Pakistan. It also taken part in relief works in other countries. 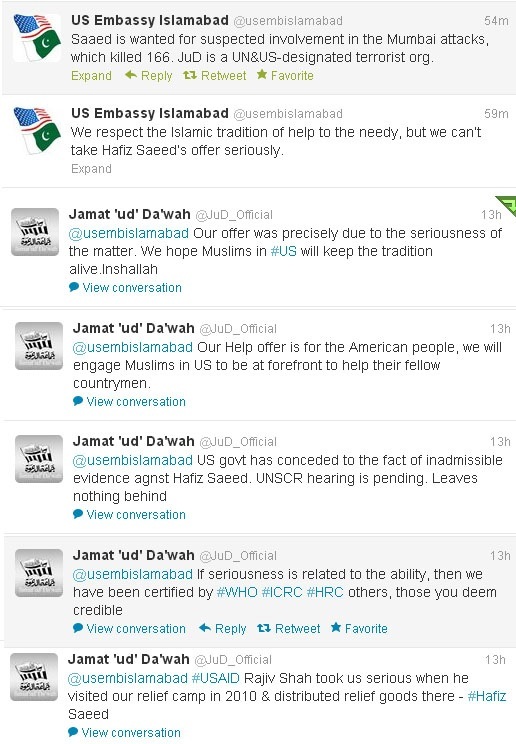 But yesterday we heard a interesting news that Jamat Ud Dawa Chief Hafiz Muhammad Saeed has offered aid for American Storm Sandy which has done huge destruction in US. 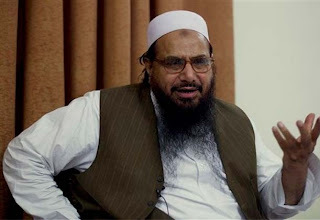 Hafiz Saeed said we are ready to send different items, Food, Medicines and JUD Doctors to look after Strom Vicitims if US Government allows us. Hafiz Saeed is the same man on whom US set a bounty of Millions few months back but still Hafiz Saeed is offering Aid for storm victims on humanity basis.